If you live in New York and you’re trying to adopt a Persian kitten or cat, your best choice is to go to a Persian cat breeder. These are people who specialize in the breed and really understand their personality traits and how to care for them. 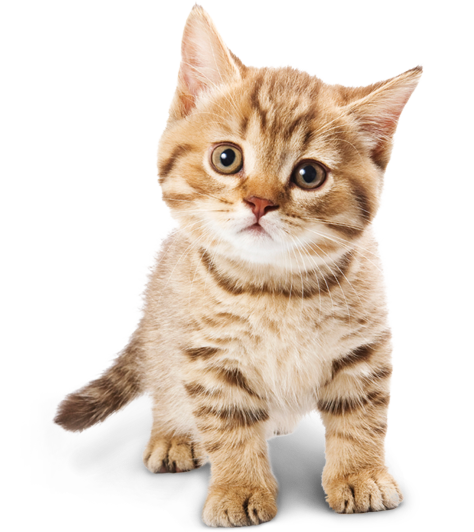 Finding a Persian cat breeder in New York can be difficult, but we’ve done all of the hard work for you. We’ve spent hours researching to find all of the different Persian cat breeders in New York and you can find our full list below. How They Describe Themselves: Our cattery name was inspired by a little Seal Point kitten born with us.....she was just a bitty thing, so she needed a special name! We were given the words "Ahmischi Piak", which meant "Little One" in the Cree Indian language. So, from that little kitten, we took the first part of her name for our cattery....."Ahmischi." How They Describe Themselves: I have always had a great love of all animals and most importantly, of cats! There are some breeds that just take my breath away and they have such a sweet, lovable personality. These breeds are: Persians, Himalayans, and Exotics. I am really in love with these breeds! Besides the personality, the Persian and Himalayan are gorgeous to look at, and the Exotics are not only nice to look at, but also very easy to care for. By now, you probably already guessed that our cattery specializes in Persians, Himalayans, and Exotics. How They Describe Themselves: My name is Mona Khan and I'm the owner of Love Persians Cattery. Love Persians kittens have a uniquely loving purrsonality that will warm your heart. Our genetically sound, healthy kittens are raised as part of our family and have the run of the house. Each kitten is raised in our lap with time focused on training them to be great life long companions. How They Describe Themselves: Sterlingpaws is home of the true chinchilla silver persians. We are CFA registered, health guaranteed, and veterinarian certified. Our silver chinchilla babies are extremely loving,sweet and very clean persian kittens. How They Describe Themselves: The Breeder Of Persian, Persian-Himalayan, Persian-Chinchilla Kittens. Pedigree Kittens For Sale. Document. Vaccination. Cat boarding. Professional Grooming Cats. How They Describe Themselves: We started with solids and whites, blue, odd and copper eyed, but in the past few years we have also added the fantastic and wondrous bicolors and vans to our breeding program. Although I must admit when I look at a top quality persian I don't see the color. How They Describe Themselves: We have been breeding and showing the elegant Persians and Himalayans since 1997. The children have grown and so this is our second 'furry' family. How They Describe Themselves: We are a small in home cattery located in upstate New York. I have been fortunate to have learned the unique qualities of the Persian breed. Their gentleness and curious playfulness make them a delight to raise and own as pets. After my own cat Madison, who was half Persian passed away, I got my first purebred Persian, "Miss Phoebe Rose." Not finding what you want with the Persian cat breeders in New York? Sometimes this happens as most small catteries only have one or two litters per year. If you’re looking to adopt a Persian kitten or adopt a Persian cat, you have two choices.